Police brutality can be defined as the unnecessary use of excessive force, usually physical, but potentially in the form of verbal attacks and psychological intimidation by a police officer. This can be can be as simple as a police officer using his position of power to induce you to agree to a search or something as violent as unnecessarily using a Taser on an individual who does not comply with requests during a traffic stop. Police brutality can occur at any time during an interaction with a police officer, even if you are being questioned at the police department. If you believe you have been the victim of police brutality, it is important that you know your rights so that you can protect yourself. Remember that you have the right to be silent and this can be the most important action you can take when interacting with the police. Make sure to document everything you can remember about the incident as soon as possible. The most important facts you can document include the time, place, police officers involved and any other important interactions that occurred. Finally, be sure to have medical treatment and keep all of your records if you decide to contact a lawyer about your rights. There have been many incidents of police brutality over the years, including several cases in recent news. The civil rights and police brutality attorneys at our Jackson, Mississippi firm have helped clients receive the compensation they deserve after injuries or emotional harm was sustained from a police brutality incident. We have worked diligently on many police brutality cases and civil rights claims to protect our client’s rights and pursue justice. There have also been cases where innocent people have been arrested and then harmed or hurt while in jail, and cases where jail guards have abused a detainee. When police officers or government workers abuse or take advantage of their power and deliberately injure or harm an individual, the victim can file a police brutality claim. These types of claims require detailed filing and diligent attorneys who can work to protect your rights. Our civil rights attorneys in Jackson, Mississippi have significant experience with these types of cases. 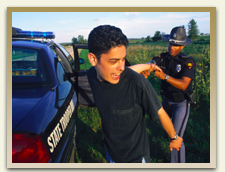 For more information about police brutality lawsuits, contact injury attorneys of Coxwell & Associates today.